As we become more connected digitally, conveying a clear and authentic voice is crucial…and this brand connection must first start internally with your team. This brand engagement at the employee level is what will ultimately drive customer experience. Does your firm’s space truly reflect your culture? Company culture is your brand personified. And design can reinforce an organization’s values and vision. An easy to way customize your space is with wall graphics. 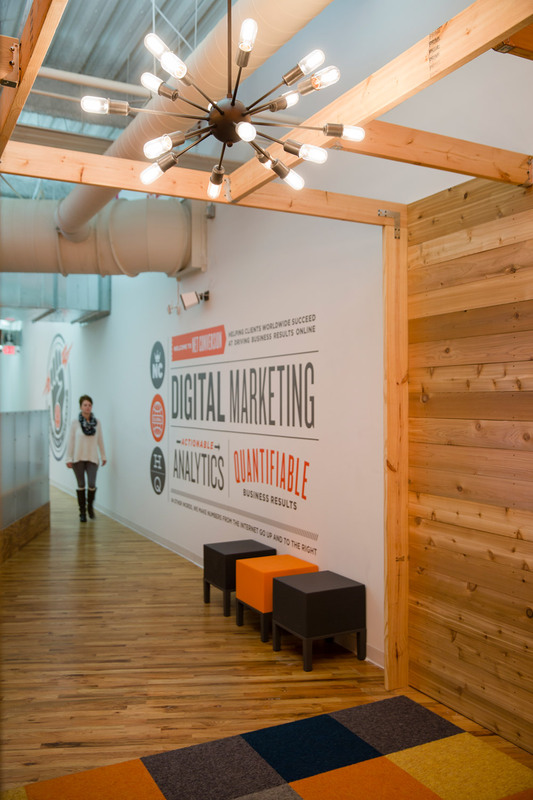 Wall graphics have become one of the hottest ways to bring color and personality to offices. They not only help create a powerful brand identity, but these graphic installations can aid in reinforcing your company culture. At Lawton Connect, we have the expertise to consult with you on ways to bring your brand to life within your offices. We are offering free consultations in the Central Florida area and 20% off your wall graphic services with CODE: PIMP MY SPACE. Click HERE to get started. 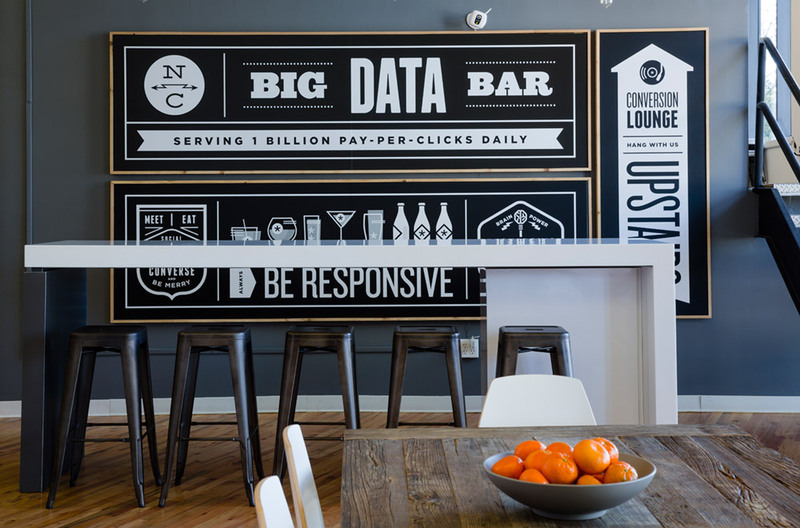 For example when Net Conversion moved into their new offices, they called their design team and Lawton Connect to help ‘pimp’ their new space. Lawton Connect transformed their office into a high impact, branded venue with installation and digital wide format printing on vinyl wrapped table tops, wall graphics, dry erase board creations, contour cut lettering, routed plexiglass boards and more. 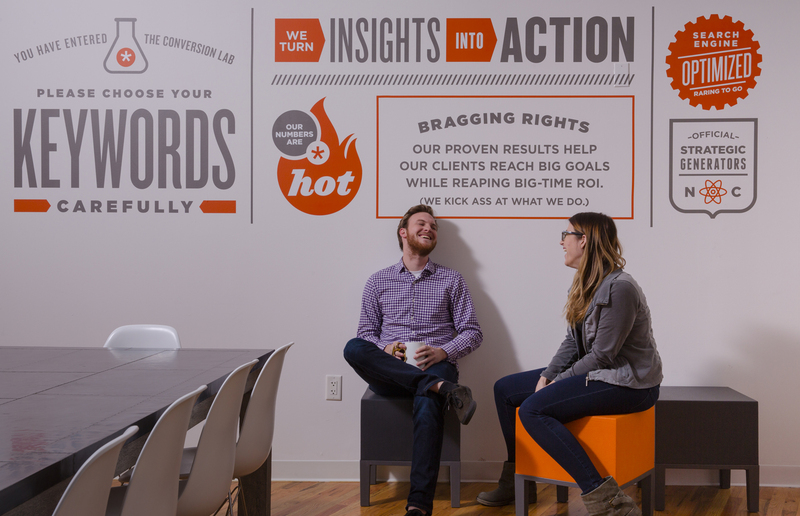 Their new space completely communicated their company personality and culture. Net Conversion understands that happy employees are more creative and more productive. Brand engagement starts with your team – so put them first. As a result, your team will feel more connected to each other and to the company brand. What are you doing inside your offices to support your employee engagement? A visual identity can dramatically improve your employee experience. Are you inspired? Do you want more personality in your space? Get your free consultation and 20% off your wall graphic services with CODE: PIMP MY SPACE. Offer ends September 30th, 2015. Email us at wideformat@lawtonconnect.com to get started.